The Ouur × Stutterheim Stockholm Coat was introduced as the perfect union of Swedish luxury and Japanese-inspired simplicity. Ouur oversaw the collaboration from start to finish, conceptualizing the limited edition outerwear, including the garment’s design, the story behind it, and the creative direction of all photo shoots. These images, accompanied with press releases created by Ouur, were then used in all marketing campaign materials. Stutterheim produces the highest quality rainwear characterized by simplicity, functionality and timeless style. The brand’s vision is to produce great rainwear and accessories, filled with craftsmanship, passion and authenticity. Ouur Collection and Stutterheim have long shared the value of timeless, classic designs that hold true for better weather or for worse. 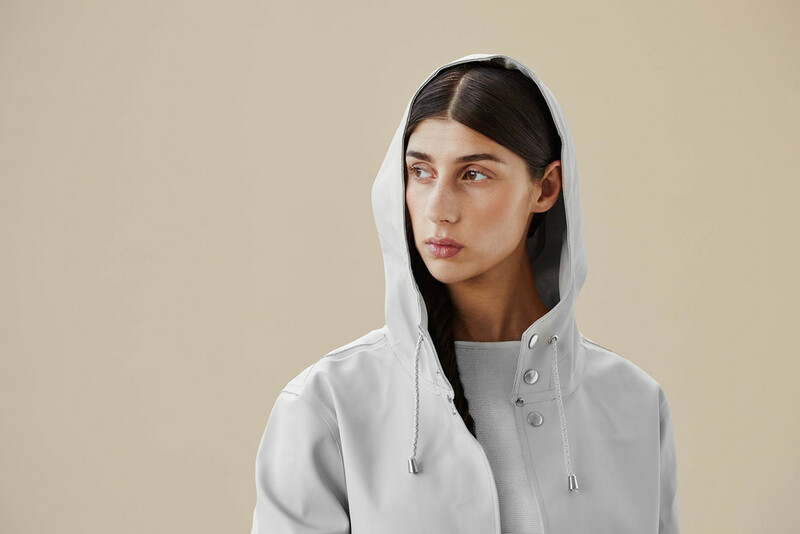 With reference to water and earth, the neutral palette of Ouur meets the dark, cold hue of Stutterheim with subtle elegance. As beautiful as it is functional, this 100% waterproof raincoat is handmade, with exquisite attention to detail. Enter your email below to receive Ouur Media news and updates.